We have two bunnies on our block now. I went to buy a Guinea Pig but came home with these two carrot eating poo machines! 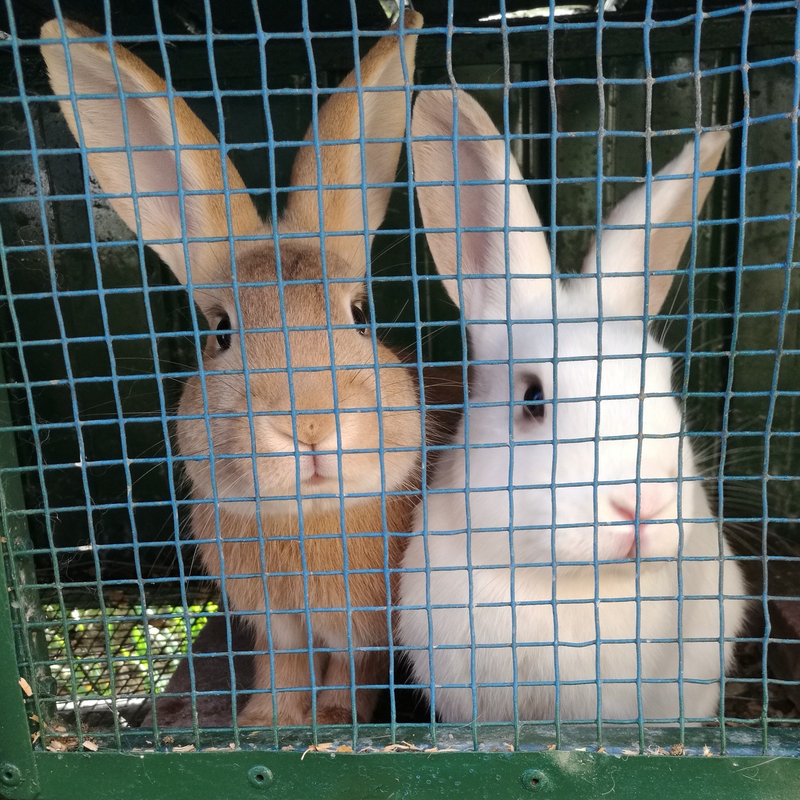 They came a couple of months back now and with the donation of a metal house from a friend, are happy as bunnies. The house is off of the ground and tucked under the Elder and Sicilian Nectarine trees, just off of the path where everyone can say ‘hi!’. A partly mesh floor lets their droppings and scraps of food drop into containers for redistribution around the garden. Rabbit poo can be used around veggies directly without aging or mixing. Apparently its high in calcium too. We also use it for the occasional top up of the worm beds and towers. So, how did they get their names. Well, I’m showing my age here. Grace got her name from the singer, Grace Slick, who had a song named ‘White Rabbit’ with her band Jefferson Airplane waaaaay back when. Jesus, the boy, was named a little more spontaneously. I took a selfie with him on the first day and the Sun broke through the tree behind us, just above his head, giving him a little halo. The rest is obvious. Of course, we shall keep you informed of their escapades! Help keep Jesus and Grace well fed. They’ll love you forever!